Kaarel Lepik has done it! The 38-year old Estonian came into Copenhagen as part as a group of six of the Insomnia Poker Club, who all tried to qualify for the Main Event. Lepik was the only one out of six to actually qualify and eventually went all the way. Lepik overcame Sigurd Carlsson after a fiercely contested heads-up battle in which Lapik was trailing for hours heads-up. 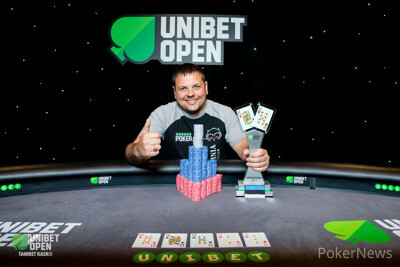 2011 Unibet Open Riga winner Peter Harkes saw his bid at a second title end in third place. Start-of-the-day chipleader Monica Vaka, who had a chance to become the first ever female Unibet Open champion, fell in seventh place. 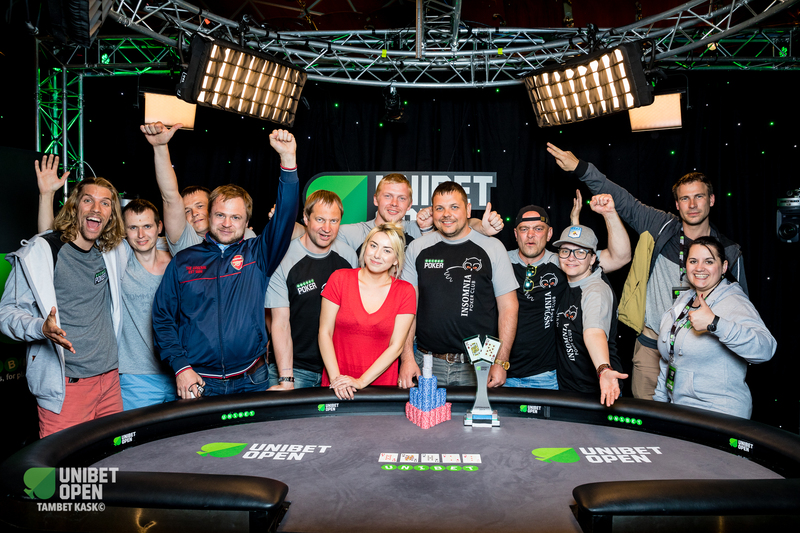 13 players returned to Casino Copenhagen at noon local time to try and capture the coveted Unibet Open title. For Mateusz Krzyzewksi, the day ended after mere minutes when he shoved ace-six in ace-jack. Thomas Ardai was the next to go: he lost the classic ace-king versus the pocket queens of Carlssen. It was a pivotal pot to Carlsson, who grabbed a big chip lead after the hand. 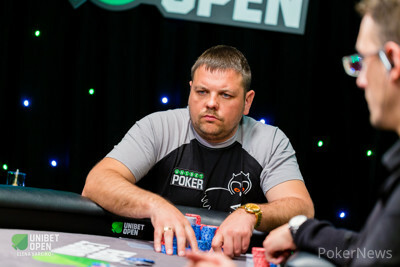 Tomasz Kozub started the day second in chips. After losing a few pots in the early stages, Kozub four-bet shoved pocket jacks into Vaka's pocket queens, didn't improve and finished in 11th place. Jes Bondo became the final table bubble by shoving pocket queens into Lepik's pocket aces. There was no miracle in the cards for Bondo, while Lepik skyrocketed up the leaderboard with the extra chips. 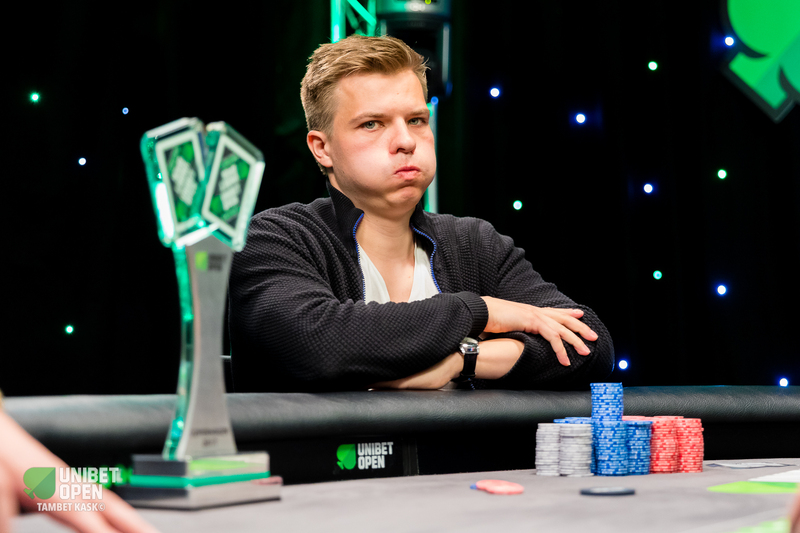 Soren Hansen quickly busted in 9th place after an ill-timed triple barrel bluff with ten high. Harkes had flopped two pair and called every street to send Hansen to the rail. Florian Lanz shortly exited after Hansen in eight place. Short stacked, he shoved eight-trey into jack-eight and couldn't catch up. The next one to go was start-of-the-day chipleader Monica Vaka. The Norwegian - seven months pregnant - was the story of the tournament and showed her poker prowess throughout. However, an unfortunate series of events at the final table led to the demise of the last female standing. Vaka lost pocket kings against Harkes' pocket aces and never gained any traction after that. After losing another all-in confrontation, Vaka was down to around ten big blinds, She open-shoved pocket fives from the small blind in order to get some back but Mikael Johansson woke up with pocket kings in the big blind to send Vaka to the rail. Martin Wendt finished in sixth place after getting pocket nines in against Carlsson's pocket tens. He was shortly followed by Deivis Rinkevicius, who quickly succumbed to Carlsson as well by losing king-queen to ten-nine. Lepik then eliminated Johansson with pocket fours against jack-eight to take us down to the last three. 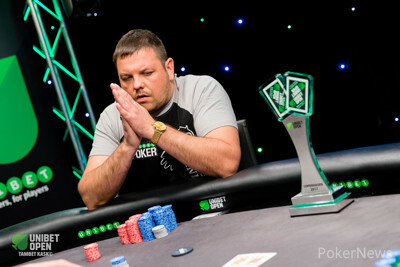 2011 Unibet Open Riga winner Harkes was in contention for a second title for a long time. Being short against the two big stacks Carlsson and Lepik, Harkes tried to start his comeback with pocket sixes against Carlsson's ace-trey. 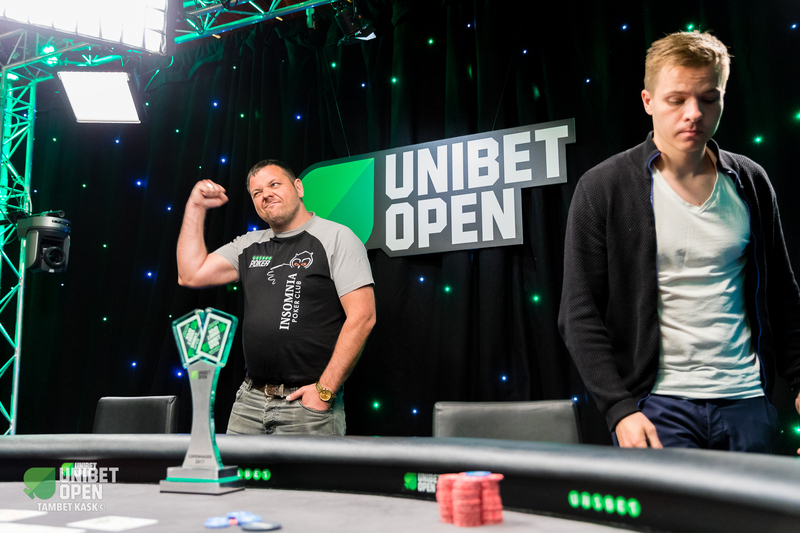 An ace on the flop ended Harkes' run in third place, who added a third Unibet Open final table to his already impressive poker resumé. 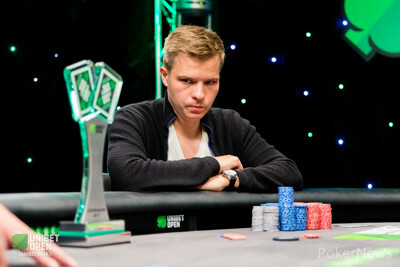 With a 2:1 chip lead, Carlsson started the heads-up by running over Lepik and distancing himself even more. The Estonian hovered between 15 and 35 big blinds for hours but navigated his way around with the shorter stack. It took more than three hours before the Estonian finally was able to get even in stacks. Then, in one hand, Lepik dealt the decisive blow. Holding ace-five against Carlsson's nine-seven in a three-bet pot, the flop came down seven-four-trey and both players checked. The turn was a deuce, completing Lepik's straight, and Carlsson check-called a big bet. The seven on the river gave Carlsson trip sevens and he check-called all in with the inferior hand for nearly all his chips. 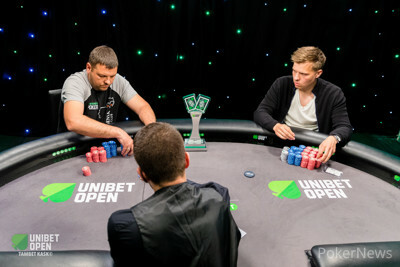 In the next hand, Lepik finished it off with king-nine against king-trey to become the 40th Unibet Open champion. His good friend and countryman, official Unibet Open photographer Tambet Kask, captured the stunning comeback in a series of photos. Check them out here. That's all from Casino Copenhagen in the stunning Radisson Blu Scandinavia Hotel. The Unibet Open will be back in September for a special stop at a still to be announced location. PokerNews will once again be there to provide you all the live updates from the floor as it happens. Until next time! The hand after the big confrontation, Sigurd Carlsson and Kaarel Lepik got their stacks in the middle again. The loud Estonian rail jumped on their feet and closed in on the table to see their hero trying to win it all. The flop was massive for Lepik and left Carlsson basically drawing to a chop. The on the turn and on the river sealed it for Lepik, who flexed his muscle before getting swarmed by his Estonian compadres. Carlsson put up a massive fight and held the chip lead throughout the majority of this long heads-up battle but eventually succumbed in second place. The Faroese received a massive payday of DDK 362,100, easily the biggest cash ever made by someone from the Faroe Islands. Wow! What a comeback by Kaarel Lepik! The Estonian grinded back up to nearly equal stacks before dealing an almost decisive blow to Sigurd Carlsson. Lepik raised to 320,000 on the button with , Carlsson three-bet to 800,000 with and Lepik called. On the flop, Carlsson checked and Lepik quickly checked behind. The on the turn was gin for Lepik. Carlsson checked, Lepik bet 800,000 and Carlsson called. To make things worse for the Faroese, the appeared on the river to give him trips. He checked, Lepik moved all in for 4,500,000 and Carlsson called! Carlsson, who held the chip lead throughout the entirety of the heads-up, was suddenly down to just four big blinds after the hand. Sigurd Carlsson put all the pressure on Kaarel Lepik by pushing all in with . Lepik found and made the call for his tournament life. The board came and Lepik doubled to more than five million. Lepik doubled with through Carlsson's after the board ran out . The players take a small break before continuing their heads-up. Sigurd Carlsson raised and Kaarel Lepik defended . Carlsson flopped the joint on and he bet 320,000. Lepik check-called with his straight draw. The on the turn gave Lepik a live flush draw. 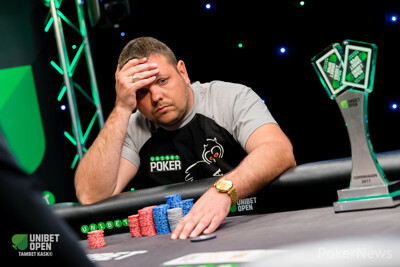 He checked, Carlsson bet 900,000 and Lepik called, leaving himself with just nine big blinds behind. The river bricked for Lepik and he check-folded to a shove from Carlsson. Kaarel Lepik called all in with after Sigurd Carlsson had shoved with . The board ran out and Lepik doubled up. Sigurd Carlsson is slowly but surely whittling Kaarel Lepik down by grabbing the majority of the small pots. Lepik is now below the 20bb mark. 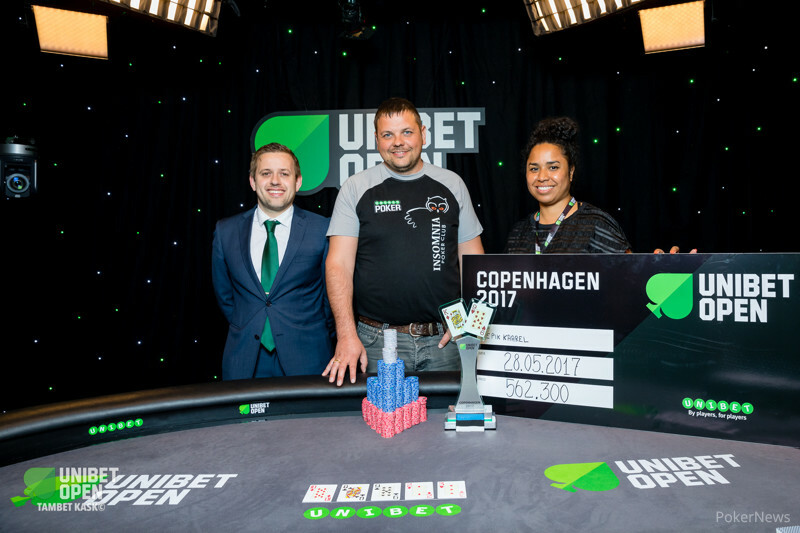 Who Will Win the 2017 Unibet Open Copenhagen Main Event?